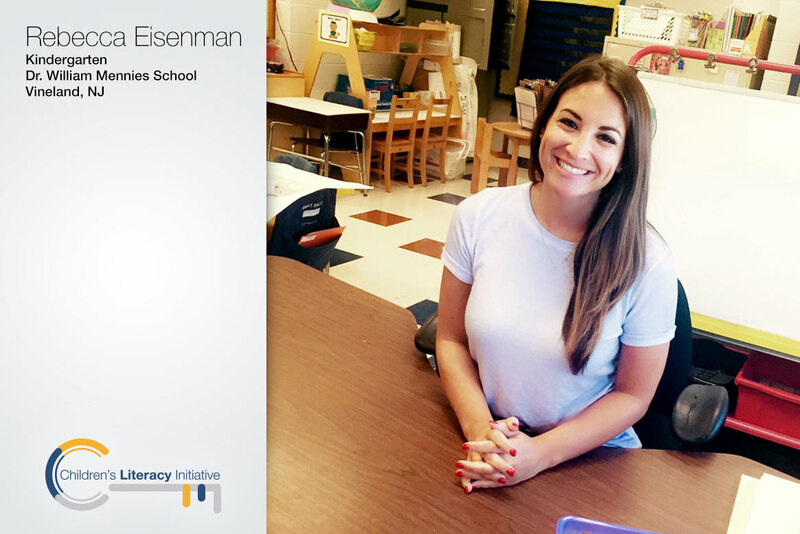 Since 2010, Rebecca Eisenman has worked as a teacher. Currently, she is a kindergarten teacher at Dr. William Mennies School in Vineland, NJ. Rebecca shares why she loves working with CLI. What were your initial expectations about CLI? I LOVE CLI. I instantly felt like a stronger literacy teacher. My students are excited about learning. They are becoming wonderful readers and writers with the help of CLI’s best practices. Having professional development helps me become a better teacher. It helps me understand how to teach my literacy curriculum in an engaging way. CLI’s training and coaching helped me understand how to teach literacy. It taught me to focus on one goal at a time. The clear outline of the lesson plan templates helps organize my lesson and use language that helps ALL students comprehend and retain the information. The one-on-one experience was wonderful. It showed me how a lesson should be implemented. The support of the CLI coaches transformed my classroom into an engaging environment where students are eager to become writers and readers. The coaches are wonderful and knowledgeable about best practices, and they have helped me become a confident reading and writing teacher. Absolutely! My students are confident readers and writers due to the atmosphere CLI introduces. CLI makes our literacy block exciting. The students look forward to Intentional Read Aloud and Writer’s Workshop (two of CLI’s trainings). I am noticing my students are confident and calling themselves authors and readers. My students cannot wait for reading and writing time. CLI helped me transform my student’s interest and help them become lifelong readers. CLI celebrates reading and writing and helps students become confident in this area. I love that my students are willing to take chances in reading and writing. I truly see their confidence soar. CLI helps make the classroom a safe community where children are willing to try new material. What is your literacy goal for yourself and your students during the 2016-2017 school year? Continue to implement CLI’s best practices. Continue to engage my students. My students are involved in Reader’s Workshop; however; I would like to make more time for conferencing (a technique designed to allow the teacher to differentiate instruction to meet an individual child’s needs). I want to continue to use the conferencing portion to help the needs of my students. Anything else you’d like to add about your experiences with CLI? I am so fortunate that my district implemented CLI into our curriculum. CLI made me a better literacy teacher. CLI offers support and guidance. 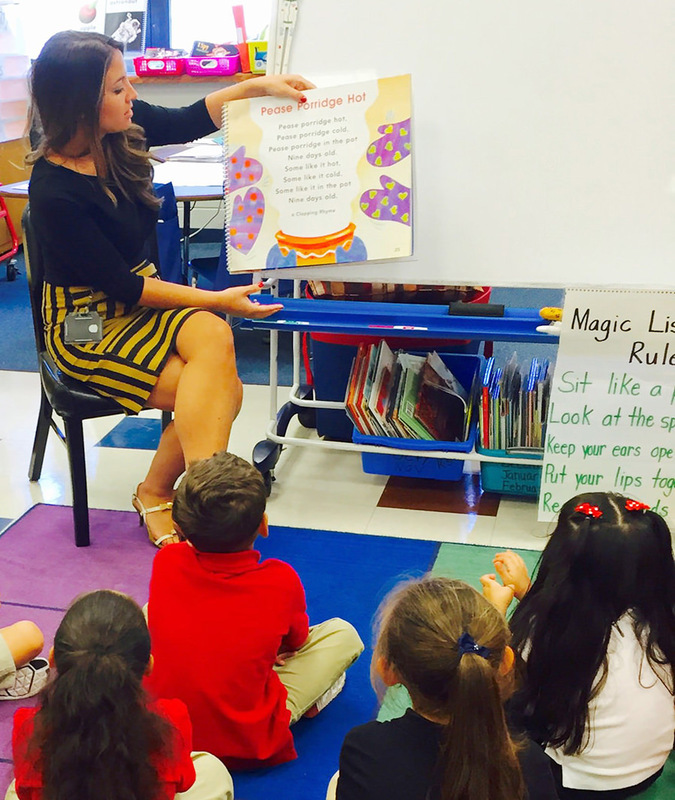 Support teachers like Rebecca & help more students become lifelong readers.